Pickles are an item that fit info almost all "food lifestyles." They are snackable and add a satisfying crunch to burgers, sandwiches, potato salad, tune salad, etc. Pickles are also a great thing to start out canning if you are new to the craft. Fresh is always best...that's why I always pick the day before or day of farmers' markets and the Buying Club. The golden rule is to process pickles with in 24 hours of being picked. Remove the blossom end! This is very important when it comes to quality of your finished product. By removing at least 1/16th of an inch from the blossom end you are cutting down on the amount of mold that is harbored in that area of the vegetable. Use pickling cucumbers since they are grown for pickling. I have also heard of people preferring to make pickles in pint jars rather than quarts. The shorter processing time can give you a better crunch. Simply Canning is one that recommends the pint jars. Lastly don't be confused if a recipe calls for grape leaves. Grape leaves contain Scupernin which stops enzymes that can soften pickles. Salt in pickles is a "functional ingredient" which means that it can not be removed or altered. Also there is little room to "get fancy" with the type of salt you're using. Pickling salt is the best. Table salt is fine too but choose one that is not iodized because it will turn your pickles a darker color. Did you know that Kosher salt is flaked? This means that a cup of pickling salt and a cup of kosher salt are not the same. Kosher salt is a good choice for canning but you need to weigh it. To help you cut out some testing and math: 1 cup of table salt weighs 10.2 ounces. Soaking pickles in a solution of water and salt (brine) before pickling draws out the water in the vegetable which, in addition to the list above, give you a more firm pickle. For items closer in acidity to beets you use 1 cup water to 2 cups vinegar. In a recipe you can change around the spices but don't exceed the total amount that originally in the recipe. Now that you're "in the know" about pickles time to try it out. My advice is to start with a recipe that doesn't call for pounds and pounds of pickling cucumbers. Look for a smaller recipe and progress from there. This will allow you to see if you like cider vinegar or white, if you like bay leaves or not, etc. 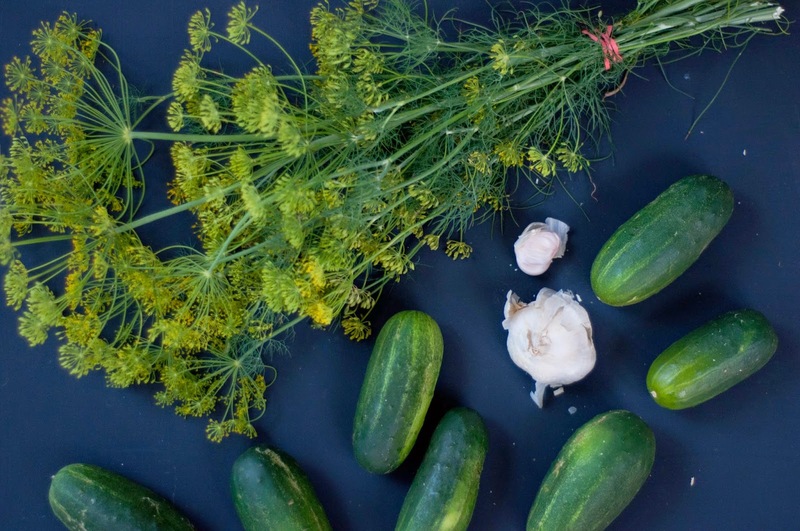 Great information here about pickling.. thank you! I've just begun to enter the world of pickling so these tips are so helpful.